So on this last official weekend of summer…. we are rocking and rolling in Key West at Mallory Square with Henna and Hair Wraps!!! We kicked off the weekend with a steady pace and colorful hair wraps and some henna too! 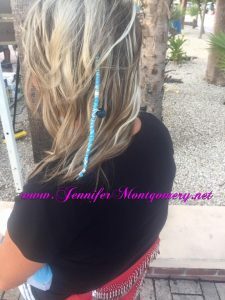 The hair wraps are fun and last weeks in the hair when taken care of well!!! We have a variety of colors, beads and jewels to select from to adorn your hair in island style!!! 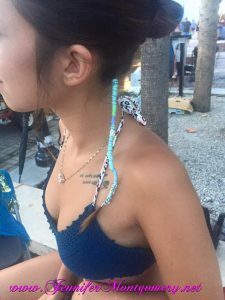 This entry was posted in New Art and tagged Hair Key West, Hair Wraps, Key West, Key West Artist, Key West Hair Wraps, Key West Henna, Key West Mallory Square, Key West Sunset. Bookmark the permalink.